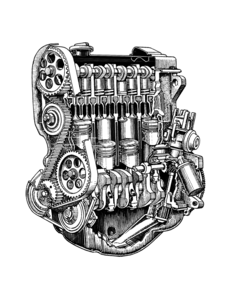 All Volkswagen Rabbit, Rabbit Convertible, Rabbit Pickup, Jetta, Golf, Fox, Scirocco, Quantum, Cabrio, Cabriolet 74-98, except VWs with 4 wheel drive. Also fits Beetle 70-79. VW wheel bearing kit. 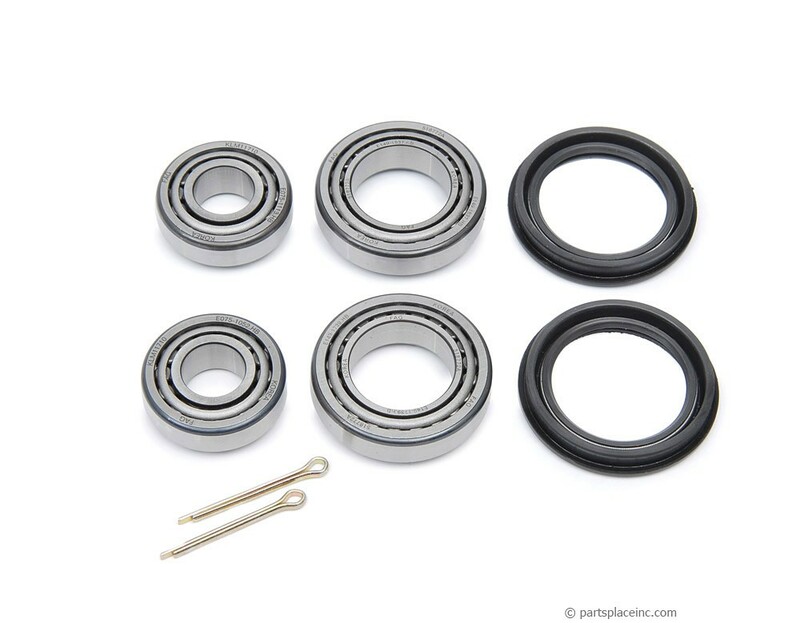 This wheel bearing kit includes two inner and two outer bearings, two seals, and two cotter pins. Replacing your rear bearing is a much cheaper fix than having a bearing seize and loosing a wheel! This complete set will do the rear axle of listed front wheel drive Volkswagens, or the front axle on aircooled Beetles. 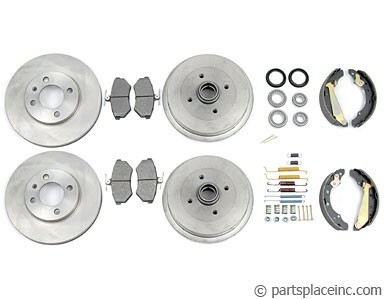 If you need the VW wheel bearing kit to complete your brake job you may want to look at our brake kits. 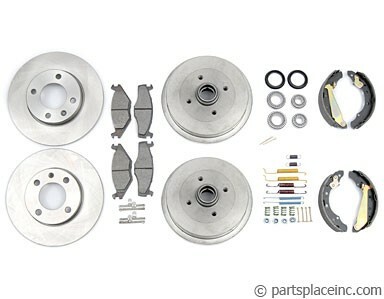 The brake kits on this page include this wheel bearing kit, and all of the other brake components you need for a complete brake job. And it is at a cheaper price than buying them alone!